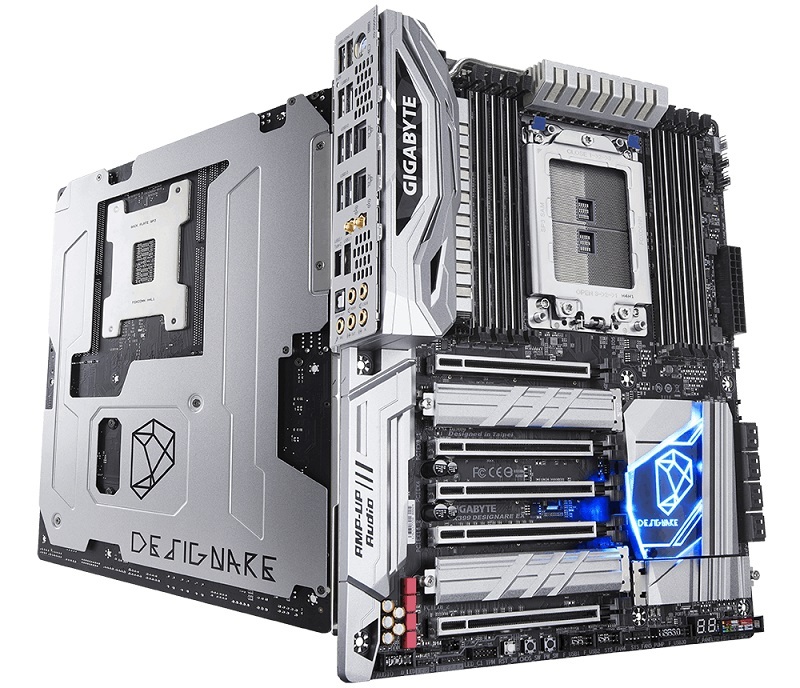 Read more on Gigabyte's X399 Designare EX motherboard. I really want to see this in Tom's hands for a good look around, it looks pretty awesome. It does have a heatpipe going of to the side into a much bigger heatsink. I know, but even that looks small and rather basic. Hopefully Tom will get to do a review to see if the design works well. Looks pretty much identical to the one on the aorus gaming 7 which I have. Highest temps I've seen on the VRM is mid 60's when running prime for a prolonged period. That's with no direct airflow, just some indirectly from the top radiator and rear exhaust. Normal temps whilst gaming or editing is mid 50's. Dare say it, the chipset runs a tad hotter. Will go well with Chrome fittings too. Good monotone theme, no other colours breaking it up. I see this going into many modded builds. This is what the MSI Titanium should have looked like. Silver, huh? It looks pretty badass.